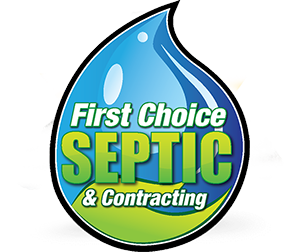 At First Choice Septic & Contracting we take your wastewater needs serious. We believe that your septic system is the most important component of your home. We have over 18 years of experience in the wastewater industry and are certified and licensed by Municipal Affairs Alberta to design, install and repair private sewage systems. We are a member in good standing with the Alberta Onsite Wastewater Association and the Alberta Construction Safety Association. In addition, we are registered and licensed by the Applied Scientific Technologists and Technicians of BC as a designer and installer. Our company has built a reputation around our ability to understand the sewage requirements of each project. We ensure that every project receives our most diligent review to make certain that your needs are met in the best environmentally and financially sound manner. We offer industry leading experience and provide our customers the latest technology so that we may provide you the most cost effective system around. Call, text or email for a free no obligation site meeting to discuss your needs.